Vertipedia - Frank L. Jensen, Jr.
Frank L. Jensen's long career included being honored as Elder Statesman of Aviation by the National Aeronautics Association and in 1996 he became an AHS Fellow. He received the Lawrence D. Bell Memorial Award from HAI and the Paul Tissandier Diploma from the Federation Aeronautique Internationale. Jensen received the highest honor bestowed by HAI when he was named an Honorary Lifetime Member and HAI honored him again in February 2005 when he was given the Eagle Award. At the early age of fifteen years old, Jensen joined the U.S. Navy and became a combat aircrewman. He completed training as an aerial gunner and finished his operational training in SBD Douglas Dauntless divebombers. awards, including three awards of the Legion of Merit. 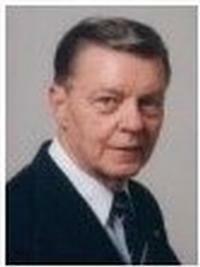 From 1976-1981, Jensen was the Chairman and CEO of the Radio Technical Commission for Aeronautics (RTCA). During that time he received awards and citations from the European Organization for Civil Electronics (EUROCAE), the U.S. Dept. of Transportation, and many others. Jensen also held positions in many aviation societies. He was president of the Washington, D.C. Chapter of the Army Aviation Association of America, president of the Aero Club of Washington, secretary of the Helicopter Foundation International, and Executive Director of the Tour Operators Program of Safety. Frank L. Jensen, Jr., Executive Director and President of the thriving Helicopter Association International for sixteen years from 1982-1998, died on February 12, 2005.